These protein "truffles" are so simple and quick to make we're sure they will become a family favourite! They are portable, healthy and oh-so-tasty! 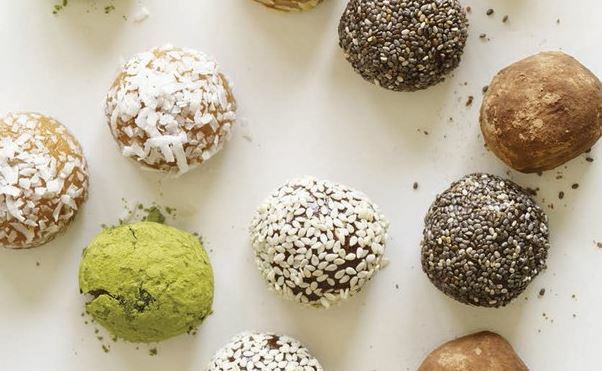 Plus, they are endlessly customizable by varying the spices, extracts, and other add-ins, or by giving them a chic coating of chia seeds, cocoa powder, or chopped nuts. These are the perfect 'treat' for your Easter gathering - or any occasion - with they're candy-like appeal and bite-size egg shape. YUM! Mix the nut or seed butter, honey, and salt in a medium bowl until blended. Add the protein powder, stirring until completely combined (mixture will be firm). Protein powders vary in terms of their dryness. Hence if the mixture seems too wet, add a bit more protein powder, or some ground oats or flax seed meal, until the mixture comes together as a dough. If the mixture seems too dry, add some non-dairy milk or water, one tablespoon at a time, until the mixture comes together as a dough. Scoop about 1 1/2 tablespoons of the mixture into your hands and shape into 1-inch balls. If desired, place one or more of the suggested coatings in small shallow dishes. Roll each ball in the coating, gently pressing to adhere. Place the balls in an airtight container and store in the refrigerator. Enjoy! –A box of these beauties makes a great hostess gift or present in general, especially to the fitness and health foodie friends in your life! Use peanut butter for the nut butter and chocolate protein powder in place of the vanilla protein powder. Add 1 1/2 tablespoons unsweetened, natural cocoa powder (not Dutch process) and 1 1/2 tablespoons water along with the honey. Use chocolate protein powder in place of the vanilla protein powder. Add 2 teaspoons instant espresso powder, dissolved in 2 teaspoons warm water, along with the honey. 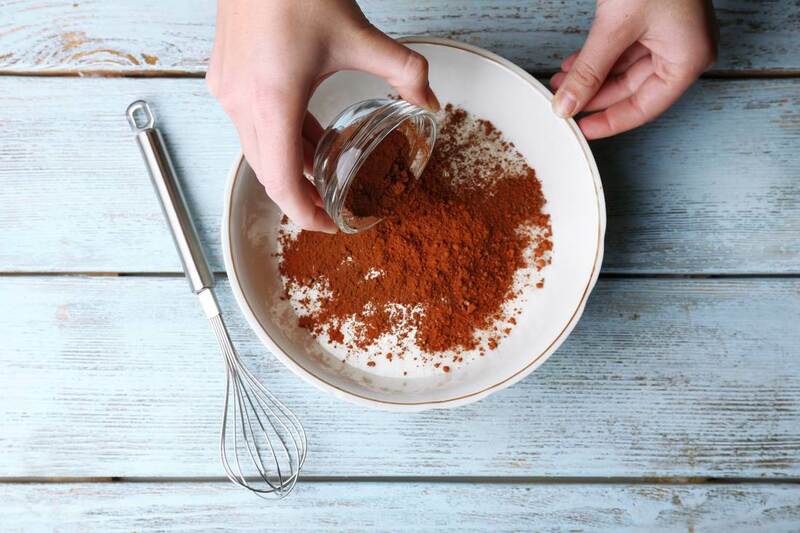 Use 3 tablespoons dark (cooking) molasses for the sweetener and add 1/2 teaspoon ground cinnamon, 1/4 teaspoon ground ginger, and 1/8 teaspoon ground cloves along with the protein powder. 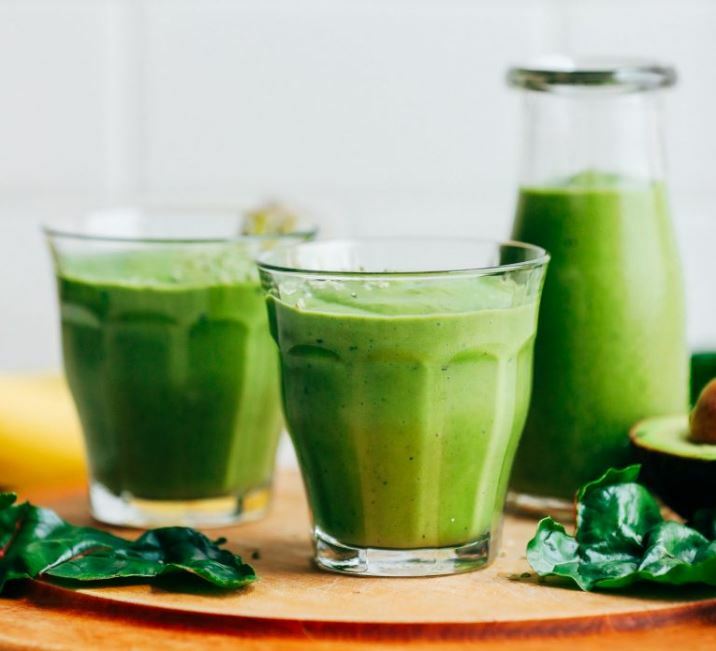 To a high-speed blender, add frozen banana, avocado, protein powder of choice, greens, and dairy-free milk. At this time, add any desired add-ins, such as nut butter, seeds, or additional fruits and vegetables (such as berries or cucumbers). Taste and adjust flavor as needed, adding more banana for sweetness, avocado for creaminess, or greens for vibrant green color. Protein powder can also be used to add more sweetness (depending on brand / flavour). ​Chia seeds are packed with nutrients. A mere 2 tablespoons pack 8 g of fiber, 4 g of protein, and 2 g of omega-3 fatty acids, as well as calcium, magnesium, and antioxidants — not too shabby for a tiny seed! Even more spectacular than its health value is its thickening ability, which can turn a plain cup of liquid into a creamy pudding. In just a few easy steps, you can make yourself the most delicious and hearty breakfast to keep you full and energized for hours. Rolled oats, chia seeds, and cacao nibs make up the base of this breakfast bowl. Although chia seeds don’t provide any flavor, when soaked in liquids, it adds a great deal of texture. The longer you let it sit, the more the chia seed will plump up. We use almond milk , but you can substitute any kind of non-dairy milk you prefer. For a touch of sweetness, you can add maple syrup or raw honey. There are endless variations when it comes to toppings. The fun part comes with the variety of toppings and mix-ins! 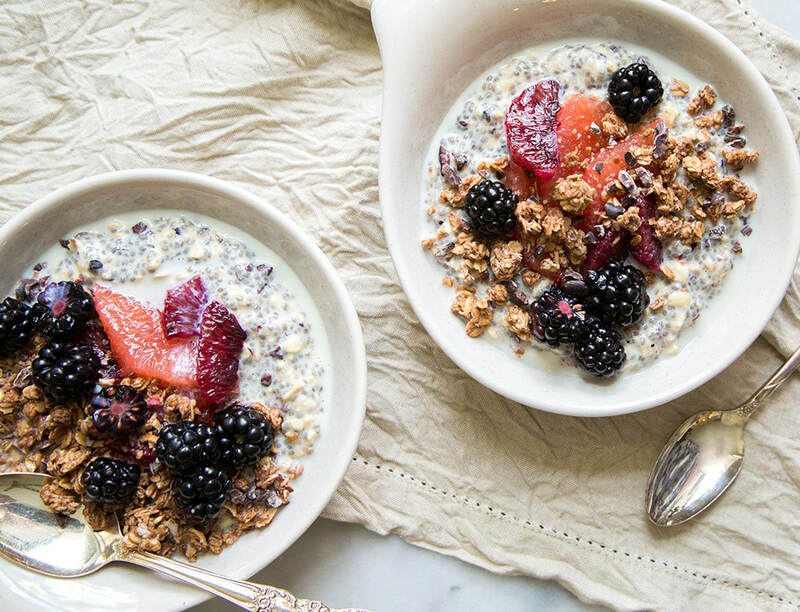 OATMEAL TOPPINGS GALORE: This chia oatmeal breakfast bowl is topped with granola, blackberries, and blood orange segments. Get creative though - next time try loading your oatmeal with toasted almonds, sliced banana, and a handful of chocolate chunks. And if you're feeling tropical, maybe add some shredded coconut, pineapple slices, and chopped macadamia nuts. Enjoy! In a medium bowl, combine rolled oats, chia seeds and almond milk. Fold to combine until ingredients are evenly distributed. Cover and let rest at least 1 hour in the fridge (overnight is best). Divide chia oatmeal between two serving bowls. Add additional almond milk, if desired. Add toppings and serve immediately. Roasting adds a savory depth of flavor one can only achieve once a bit of caramelization has occurred, and creates crispy edges, which are a textural delight. 2. Mix all of the vegetables in a large bowl. 3. Drizzle with olive oil, season with salt, pepper, and steak seasonings. 4. Gently toss to coat all of the veggies. 5. 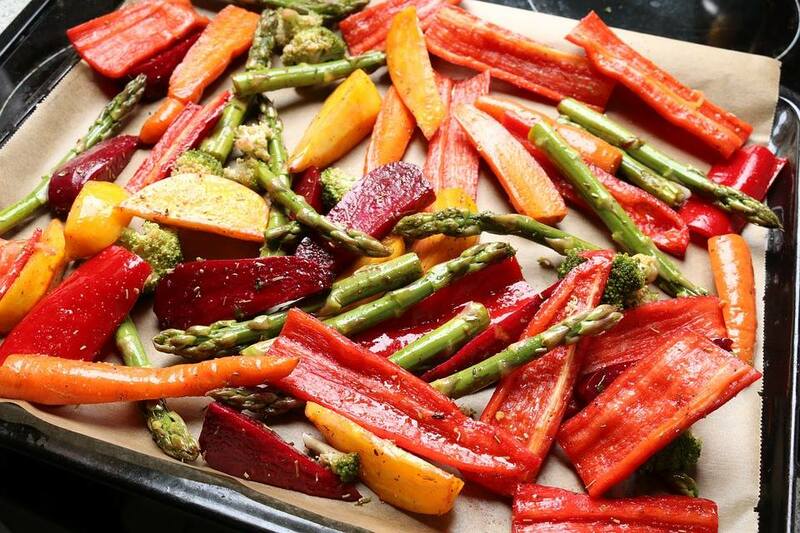 Spread veggies out on two baking sheets. 6. Roast for 20 minutes, shaking the pans 2x while roasting. If needed, roast for an additional 5-10 minutes. Why Does Weight Fluctuate? And What You Can Do About It! We know you’ve been doing your best to eat healthy and exercise, and along with this most likely, this means you’re weighing yourself and seeing some fluctuation. But don’t fret, there are many reasons for this! We all know that staying hydrated is super important to healthy bodily functions, but this also means that you if you drink more water one day over another, you may have seen a decrease in weight yesterday because you weren’t hydrated well enough. Remember when you’re weighing yourself you’re not just weighing fat, there is muscle, bones, organs, and fluid being weighed as well. So stay consistently hydrated. Did you strength train the day before? If so you’re body is doing it’s natural physiological thing…when you strength train the intensity of it can cause inflammation, which isn’t a bad thing in this case. It means your muscles are recovering from the tiny tears created by the workout and rebuilding it’s fibers, that is making muscle! You may be surprised about how much sodium is packed into foods, even foods you wouldn’t have guessed. It’s possible you may just be eating too much salt. Too much salt results in a bloated belly, and a few extra pounds. Remember packaged foods typically have loads of salt, shop the perimeter of your grocery store and you’ll find the healthiest foods with the least sodium. Carbs. We all have a love hate relationship with them right? But you do know you also know you should be eating complex carbs that provide you with fiber and energy, and too many of the simple carbs means you body makes up for it by retaining water. Water retention equals an increase in the scale. If you don’t have regular trips to the bathroom and you’re constipated, that will show up on the scale. Remember to include foods rich in fiber like spinach and other greens, sweet potatoes, beans, peas and lentils, and seeds such as chia and flax. For women, it could be that time of the month. Prior to your period weight can increase just due to hormones…wait to weigh yourself after you have started your cycle. Did you know just the weekend can make a difference? Weights tend to go down during the workweek, Friday being the lowest point and Monday being the highest. Need help understanding nutrition and the scale? Contact Us at Functional Performance Fitness so we can discuss which of our programs, both fitness and nutritional will work best for you. Functional Performance Fitness has many programs for nutrition, exercise and recovery – contact us now! Feasting on Fruit using just 13 ingredients with only 230 calories and 85 minutes of your time. A fun and healthy recipe to make and share with the kids! Brought to you by Yummly! Exercising but the Scale isn’t Moving? The type of training you’re participating in may be a big factor. Cardio is a great tool for weight loss and is certainly good for your health, but if you’re not including strength training in your workout routines - you should. Building muscle mass helps your body to keep burning fat long after you’re done working out. You may not be fueling your body properly. 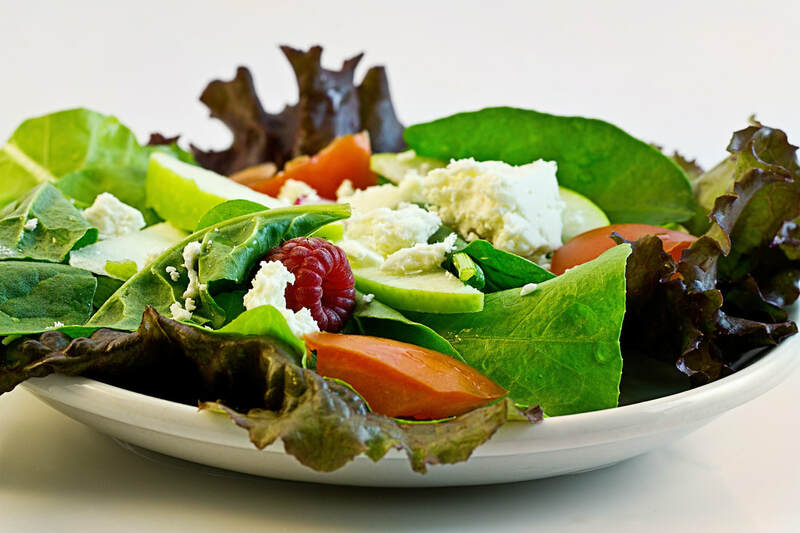 Avoid severe calorie restriction and be sure to include high-quality, nutritious foods in your daily meals. Your body needs fuel to burn, without this fuel your body will go into conservation and not want to let go of any weight. You must take time for recovery. With a serious exercise routine you need to take the time for rest days, this allows your muscles and tissues to repair. Also you must include stretching into your routine. It’s been said over and over. You must have a healthy sleep routine to make sure your gains are kept. This is another time your muscles are recovering from your workout. Too many processed carbs. You may be surprised how many carbohydrates you actually eat in a day. 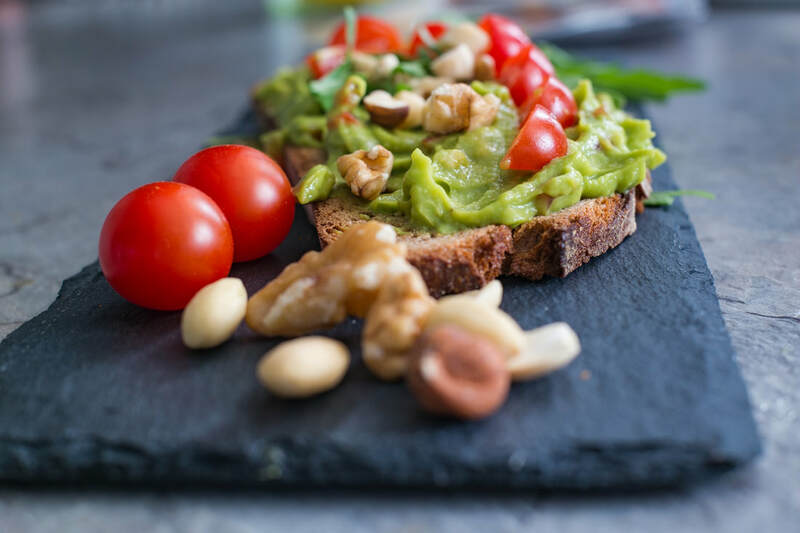 Although carbs are great for fueling you through your workouts (some healthy complex carbs pre-workout are great), be sure that you’re including plenty of high-quality protein and healthy fats into your meals as well. Figure out your daily macronutrients (Carbs/Proteins/Fats) this will help you to include the proper foods into your diet. Eating to match your calorie burn. First of all you could be overestimating how many calories you’re burning and eating more than you actually burned. This cannot be stressed enough, be sure to track your everything that goes into your mouth, food, water, drinks, including alcohol, and snacks, (MyFitnessPal is a great tracking app!). Secondly, stay at your recommended calorie intake regardless of your calorie burn. Be sure to drink enough water throughout your day. Drinking water helps weight loss by helping your body to carry out metabolic processes, flush your system and help ease cravings. Not being honest with yourself. It is imperative that you are self-aware enough to know that what you may eating isn’t good for you, or it’s just too much food. 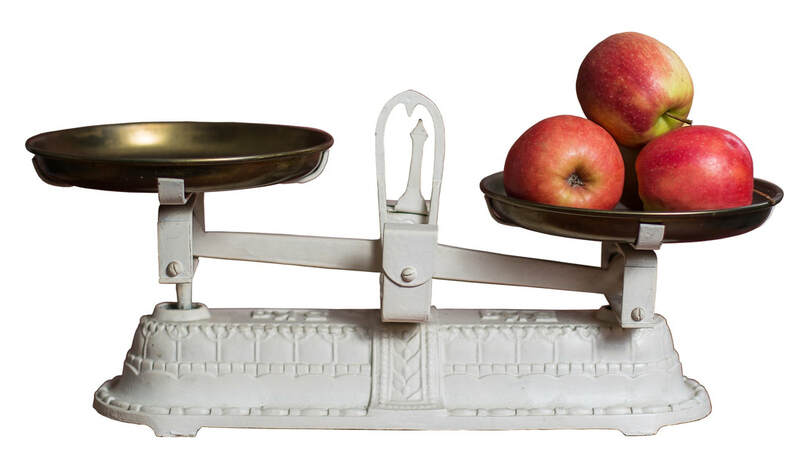 Are you in fact taking the necessary steps to reach your weight-loss goal? Only you know. Need help reaching your weight goal? Contact Us at Functional Performance Fitness so we can discuss which of our programs, both fitness and nutritional will work best for you. Functional Performance Fitness has many programs for nutrition, exercise and recovery – contact us now! ​Beets contain a unique phytonutrients pigments. These pigments can provide powerful antioxidant protection. They are particularly rich in folate acid, excellent in B1 & B2 vitamin important for a healthy heart and essential for normal tissue growth. Not only are beets are high in nutrients, but are very low in calories. 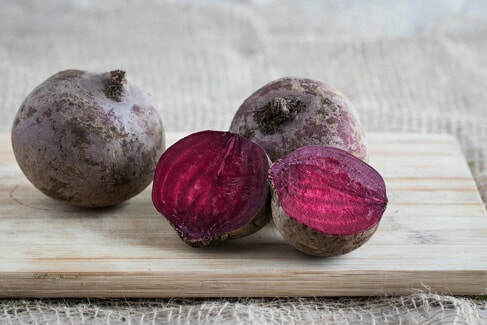 1 cup of cooked beets contains 75 calories. Enjoy this meal for breakfast, lunch or dinner! 1. In a fry pan, put in diced raw beets and potatoes with plus enough water to cover them (about 3 cups). Season with salt and bring to a boil and cook for about 7 minutes. 2. Drain and set aside the beets and potatoes. 3. In the same pan, add olive oil, onion and garlic and sauté for a few minutes. 4. Add in kale and beet greens, and cook until wilted (2- 3 mins). Set aside. 5. Heat oil in the fry pan over med-high heat. Add back potatoes and beets and press firmly into a layer, and allow the veggies to brown. Once crispy, flip to the other side. 6. Add kale and beet greens, stirring to combine. Let the entire mixture crisp up for another few minutes. 7. Top with 3-4 fried eggs and parsley. Serve immediately and enjoy!! Is it Harder to Lose the Weight or Keep it Off? You’ve been working really hard on getting the weight off right? You’re either doing it while on a specific diet, just eating less in general, and/or exercising regularly. And this is all great, it’s probably working. But what happens when you’ve reached your goal and it’s time for weight maintenance? Studies show that you can lose weight on almost any diet, but when it comes to long-term management this is where we fail the most. Why is the weight loss so hard to maintain? Your metabolism slows – as your body becomes more efficient you stop burning all those calories. Hormonal changes – you’re now more likely to feel hungry and less likely to feel full on the foods that you did before. It’s becomes harder to distract yourself from food if its there. Food becomes more pleasurable and harder to resist. So now that you know these things, what can you do to maintain the weight loss? Set a long-term goal – no Whole 30 here! Incorporate lots of protein (chicken & turkey are great sources), and eat carbs (veggies & fruit) and healthy fats (eat those avocados!) in every meal. Make a weekly meal plan and stick to it. Make sure your exercising at least three times a week for at least 20 minutes. Incorporate strength training in your weekly exercise – gaining muscle will keep your metabolism ticking. Don’t freak out during setbacks, they happen, you’re only human. Remember to get the proper amount of sleep for your age. 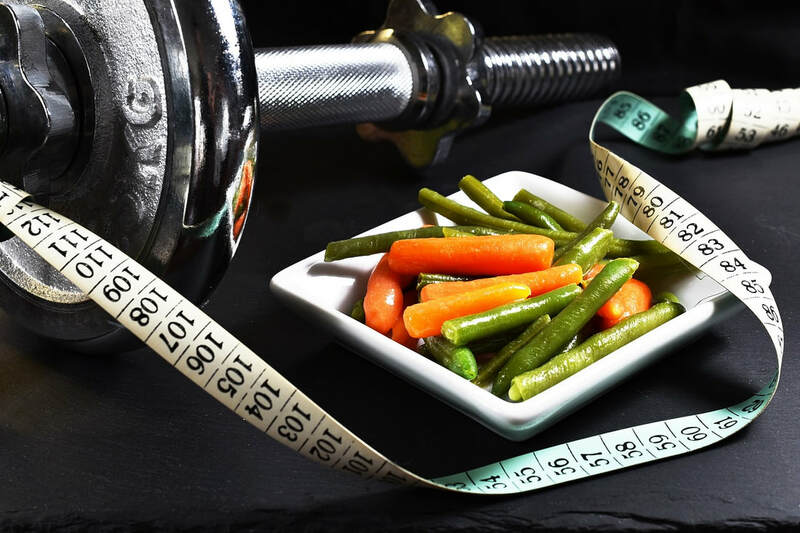 If you reached your weight goal and need some extra nutrition or exercise support Contact Us at Functional Performance Fitness to talk about your goals. Functional Performance Fitness has many programs for nutrition and exercise – contact us now! 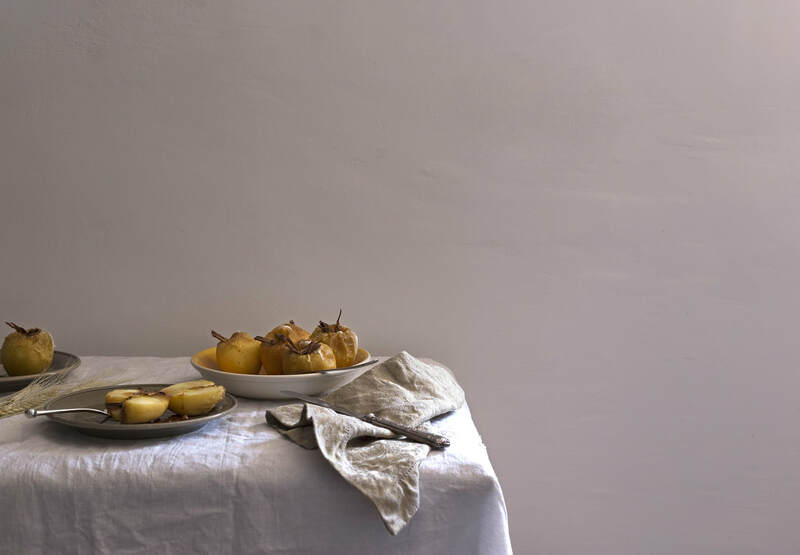 ​Bosc and Comice pears are in season in the fall! 3. Using a spoon, scoop out the seeds. 4. Sprinkle with cinnamon, top with walnuts, and then drizzle 1/2 tsp. honey over each pear. 5. Bake for about 30 minutes. Remove, cool & enjoy! Did You Know These Simple Food Swaps Can Save Calories? You may think that eating healthy means eating becomes boring, but it really doesn’t have to be that way. Below are some ideas on what foods to swap out to cut calories while still eating delicious (and healthy) food. Everyone loves mayo on their sandwich, but think about swapping 2 tablespoons mayo for 2 tablespoons hummus and save 120 calories. You can even make your hummus at home to avoid the high sodium store bought brands, and chickpeas have a lot of fiber. When baking use applesauce instead of oil. You’ll save 455 calories in a ¼ cup and deliciously moist breads. Even though many of the calories come from fat in this compact beauty, an avocado provides healthy fat and lots of vitamins and minerals. Try using ¼ cup of mashed avocado in place of ½ stick of butter and save 305 calories! Need breadcrumbs for tonight’s recipe? Make your own substituting a ½ cup of Italian style breadcrumbs with ½ cup old-fashioned oats (coarsely ground) with a pinch of Italian seasoning. You’ll get the same deliciousness and save 70 calories. Pasta is a hard meal to give up and guess what? You don’t have to! Substitute 1 cup of past with 1 cup of zucchini noodles and save 196 calories. Your kids won’t even notice the difference! Cauliflower is all the rage from cauliflower rice to cauliflower pizza, but did you know you could substitute ½ cup of Alfredo sauce with ½ cup cauliflower sauce, and save 125 calories!? Here’s a yummy recipe to try! Granola sounds like a healthy option, but what’s better for breakfast? Good old-fashioned oatmeal. You’ll not only save calories, but you’ll get away from the processed granola that often is not as healthy as we think. Like to enjoy a steak every now and then? Try grass-fed beef to save about 92 calories. These simple swaps should be easy to incorporate into your healthy lifestyle. But if you are looking for more information on how to make these simple food changes Contact Natatia at Functional Performance Fitness to talk about your nutrition goals!